Paradigm® Blog | News & Updates: 5 Stars for the Millenia CT from Witch Doctor, NZ! 5 Stars for the Millenia CT from Witch Doctor, NZ! "... this system is very much in the small hi-fi category"
"It took only a few minutes to set the Millenia CT up and then only a few more to get the subwoofer properly integrated with the speakers." "...the sub has no trouble adding a lot of weight to the bottom end and is entirely happy to reach up and meet the roll-off of the speakers to provide a seamless integration." 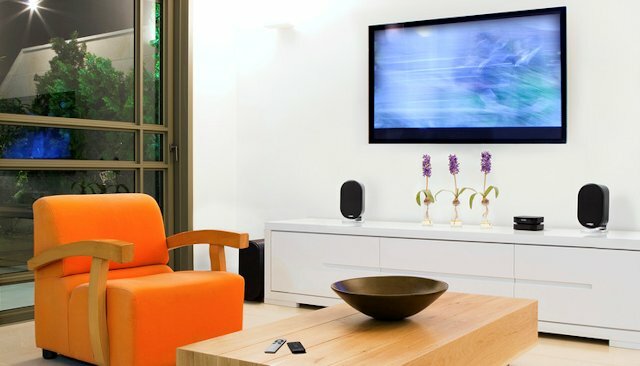 "The narrow profile of the sub means that it’s easy enough to place and if it needs to sit near the TV or entertainment unit, it doesn’t look too obtrusive. It can also be laid flat if desired." 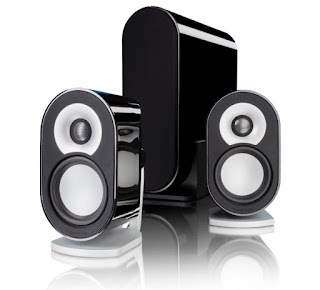 "...they sound far bigger than they look"
"The metal drivers in the speakers give a sound much like the Paradigm Studio Series 7 Mini Monitor loudspeakers that I reviewed, only deeper in the bottom end thanks to the sub. Which means that they sound far bigger than they look, with hi-fi level dynamics and clarity." "In short, the Millenia CT puts on a really good show with music. It really is like listening to a small hi-fi system, and that’s just with a 3.5mm input from an iPod stocked with 320kbps files." "Hooked up to my Marantz SA8260 SACD player from the optical output, the Millenia CT revealed even more detail and macro dynamic energy; much more than I’d expected. The top end is marvellously extended and the bass is lucid and refreshingly taut." "In fact, with movie soundtracks, I found the well-lit top end to actually enhance the experience, showing off the tiny nuances that make a good movie even better. There’s more than enough weight and power at the bottom end to lift action movies right into home theatre territory, albeit without any surround effects. As anyone who’s tried a good 2.1 home theatre system, you tend not to miss the effects as long as the overall sound quality is good enough, and here, it definitely is." "...way ahead of any chain store home theatre in a box that I've ever heard"
"As a compact dedicated home theatre system, the Millenia CT is up with the best of them at the price. It’s a real star with music playback too, which is a cherry on top. From a sound quality perspective, it’s way ahead of any chain store home theatre in a box that I’ve ever heard; even the better ones at a similar price point. 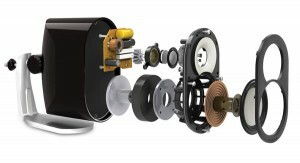 And so it should be, given the limited speaker set on offer, but quality kills quantity every time when it comes to audio." "...I’d have no hesitation in stating that this system is very much in the small hi-fi category, which would make it a very good small theatre choice..."
Click here! to read the full review from Witch Doctor. Click here! for more info. on the Millenia CT or to buy online.